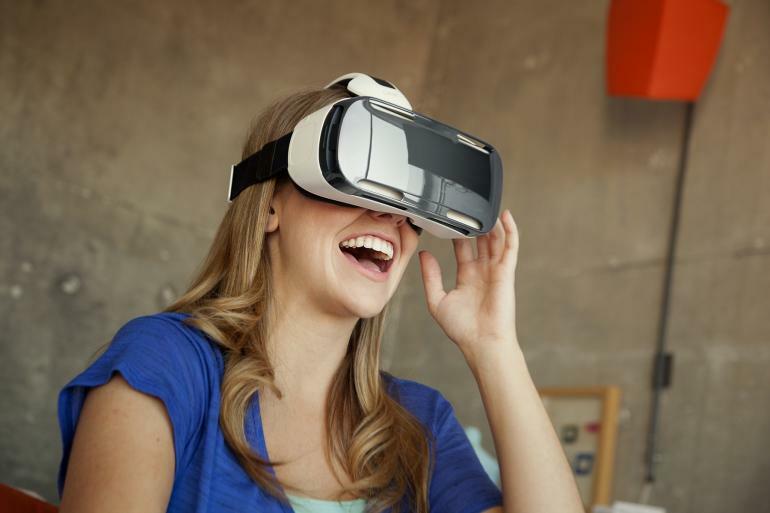 Virtual reality is coming and there is no denying it. VR eyewear devices are already starting to make waves in the consumer sphere, even though some of the biggest contenders aren’t even out yet (sorry, Oculus.) However, all the great virtual reality technology in the world won’t do a dang thing if there isn’t any cool software to support it. The software has been steadily tricking down the pike for Rift early adopters, but what of Samsung and their Gear VR headset? Do they not also deserve quality software? Yes, they do and, don’t worry, Samsung is on top of it. The company, known best for making televisions and just about everything else under the sun, just unveiled a brand new store for Gear VR owners. What does this store sell? They specialize in videos, but not just any old videos, 360-degree videos. This means once you strap the Gear VR to your head and turn on one of these vids, you’ll be able to turn in any direction to experience the majesty of someone’s recent skiing trip or that one Rolling Stones concert from 1992. The free app, called Milk VR, is already available so if you are in the market for some new VR content, you’d do well to start there. As far as what sort of content is already available, the movie list is pretty slim for now. One would imagine, however, as the weeks progress the content list will steadily increase. Soon you’ll be able to watch every movie ever made in stunning 360-degree video. Muhaha.